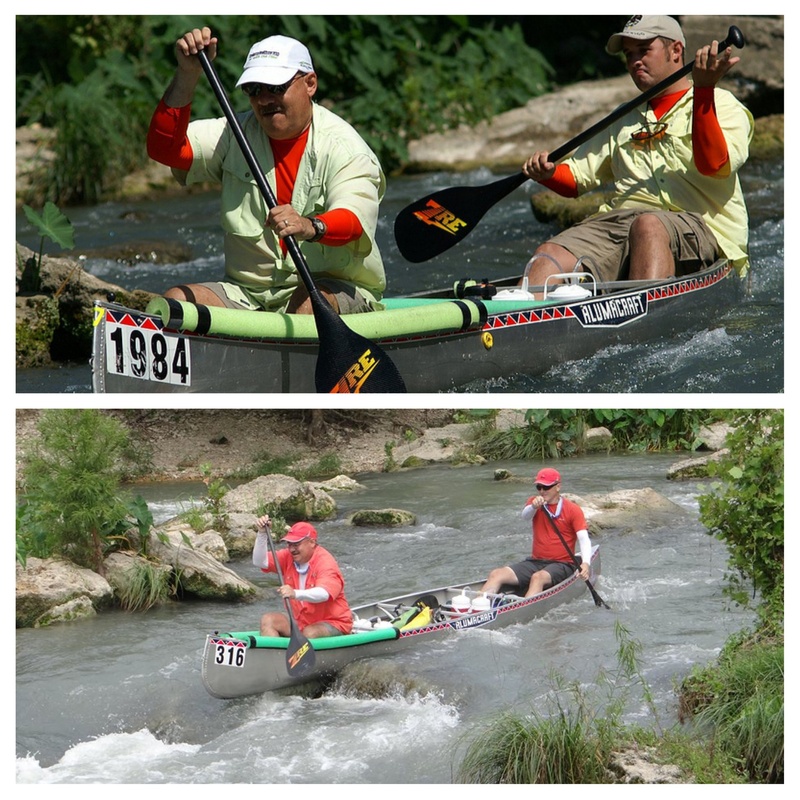 One year ago today, my friend Doyle Lowry and I were paddling our way from San Marcos to Seadrift on the Texas Water Safari — the world’s toughest canoe race. 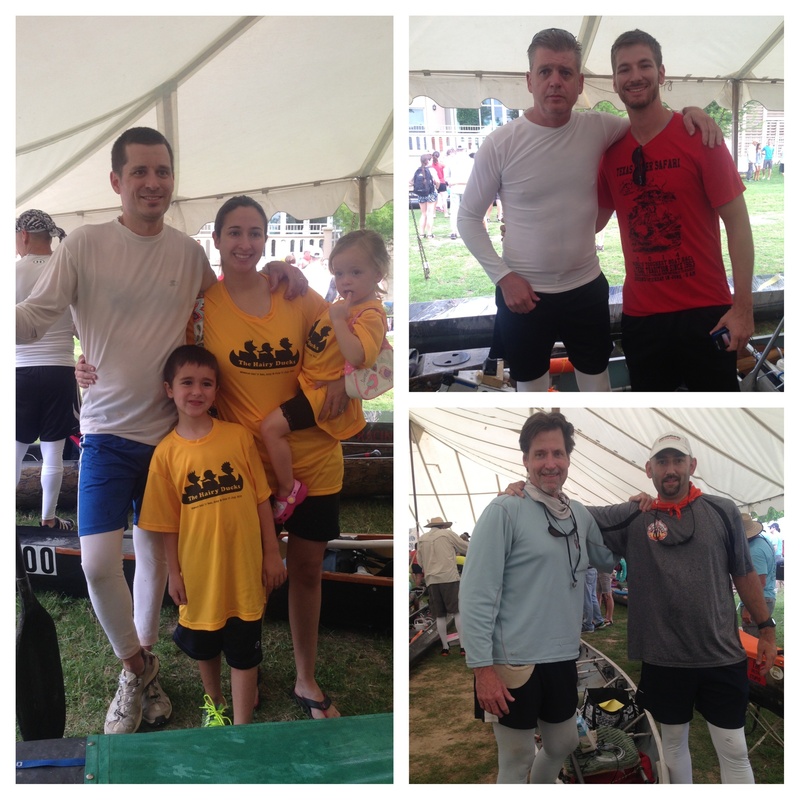 My son Jonathan completed this 260-mile ultramarathon canoe race in 2011 and invited me to do the race with him in 2012. 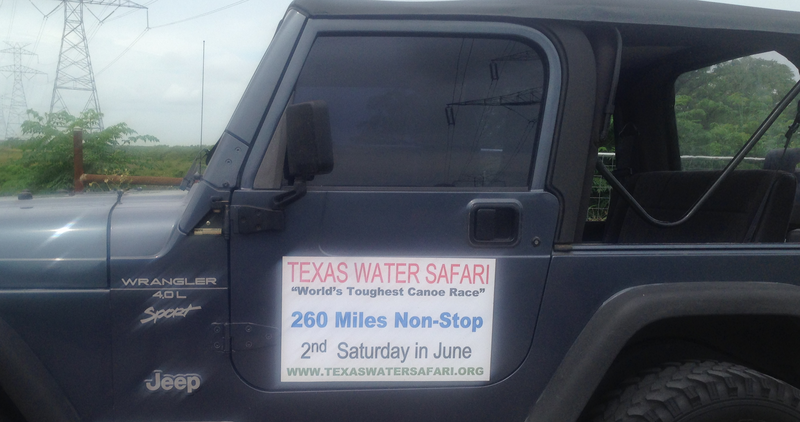 Without question, doing the Texas Water Safari is the hardest physical challenge I have ever faced. My recent 100-mile backpacking trip on the Lone Star Hiking Trail paled by comparison. However, reaching the finish line of the Texas Water Safari in 2012 and 2013 remains one of the highlights of my life. Running Cottonseed Rapids with Jonathan (2012) and Doyle (2013). When Doyle agreed to do the race with me last year, I at least knew what I was getting myself into. 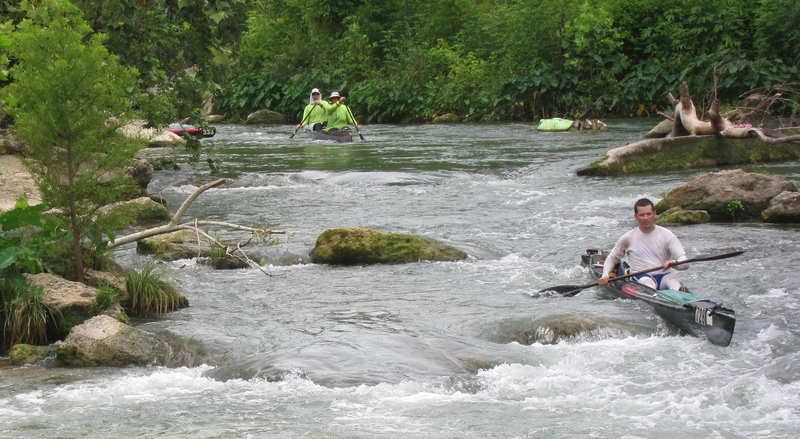 Doyle got a taste of how tough the race would be on our many training runs on the San Marcos and Guadalupe rivers. I explained to Doyle that the actual race would be even tougher than the training because we would not be able to go home and rest at the end of the day. We would have to paddle an estimated 250,000 paddle strokes with little rest along the way, covering the distance of 10 marathons. Doyle can now testify to how tough this race really is. As Doyle and I sat in our canoe at the starting line last year, I remember thinking to myself. “What in the world are you doing here? You know how hard this is going to be. You are going to be in this boat for the next four days and nights!” But, once the starting signal sounded, I was glad to be in the race. This year, because I am saving for my son’s upcoming marriage, I took a year off from the safari, which is an expensive adventure. However, I did not want to stay home on the starting day of the race. So, I headed to San Marcos with the family to cheer the good friends we have made in the paddling community. Our good friend Ben Duckett running Cottonseed Rapids. As Cheryl and I stood on the banks of the San Marcos River this morning, I thought to myself, “What in the world are you doing here. You should be in a canoe getting ready to spend four days and nights on the river.” It was painful to watch from the shoreline when my heart was aching to be in the game. But, because I know how tough this race is, I wanted to do all that I could to cheer and encourage the friends I have met and paddled with over the past few years. We joined the crowds at the first couple of checkpoints to cheer and clap and shout words of encouragement. Clockwise | Ben and family. Jay and Bob. Bill and Matt. Good TWS friends. As we stood and shouted words of encouragement, I thought about how much it meant to me to hear folks clapping and shouting attaboy as we paddled into and past the checkpoints on the race. While I am missing the safari this week, I did not want to miss an opportunity to encourage those who are in the race this year. I hope to drive to the finish line at Seadrift on Tuesday night and Wednesday morning to again offer words of encouragement to those who finish the course. And, I am already making plans to do training runs this Fall in order to get ready to compete in next year’s safari.